Put customers at the heart of your collections and recovery processes and use technology to personalise their experience. Processes need to be eliminated as part of building an ethical credit rehabilitation approach. Reduce compliance and operational risks. Improve collection results throughout the entire debt lifecycle. Increase visibility of customer’s financial situations. The result of this Debt Portfolio Blueprint? Putting customers and more advanced technology at the centre of your rehabilitation approach and increasing collections success. 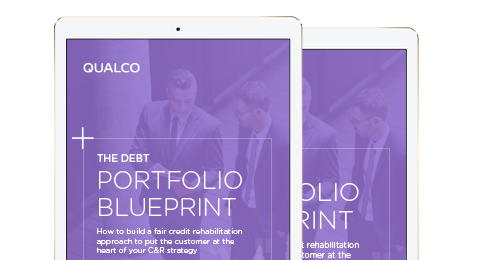 Put customers at the heart of your credit rehabilitation approach. The Debt Portfolio Blueprint now.